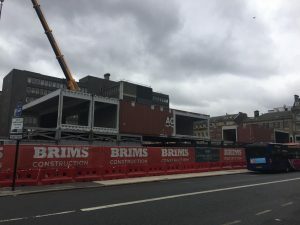 Newcastle Stack has taken shape on site. 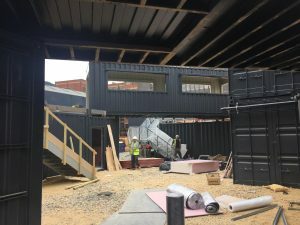 All of the recycled shipping containers have arrived, been positioned and are in the process of being fitted out. 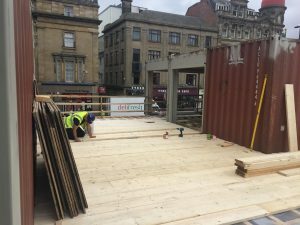 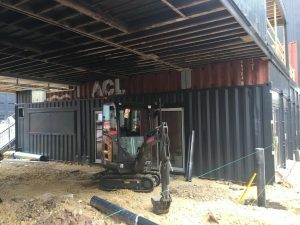 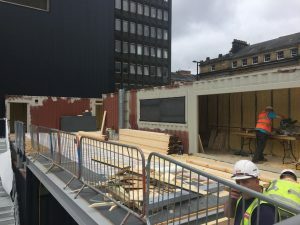 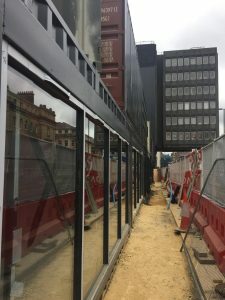 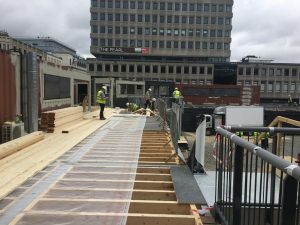 Here you can see the upper decked area going in adjacent to the container for ‘The Beacon Burgers’, the containers for ‘Hatch 76’ and ‘Cluck Cluck Moo’, and the long glazed facade of ‘Coffee YOLO’. 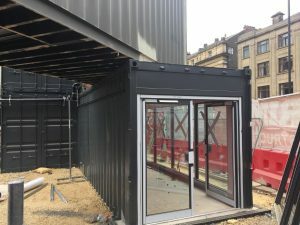 We are looking forward to these 54 shipping containers and their local independent traders opening next month!